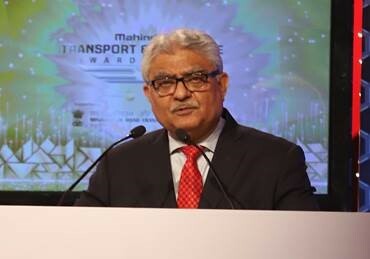 MTEA 7th EDITION: INDIA’S BIGGEST TRANSPORT AWARDS GETS BIGGER! 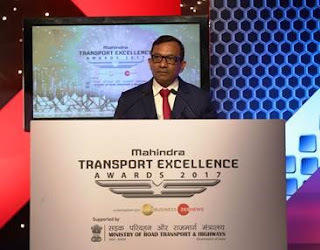 Since the 7th Edition of Mahindra Transport Excellence Awards (MTEA) was webcast LIVE many of you are already aware that ROAD SAFETY and INNOVATION were the mantras of the evening that marked the ceremony. It took place on the 7th of March 2018 at the Ashoka Hotel in New Delhi. An evening that was brimming with the positivity, excitement and anticipation of the who’s who of the Indian road transport industry. All of whom gathered to honour our OUTPERFOPERMERS! 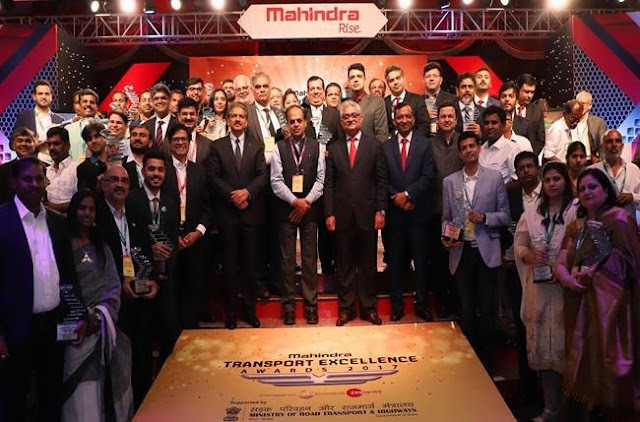 The MTEA recognizes various stakeholders in the trucking industry on parameters like Outperformance, Excellence, Innovation and Change Leadership and judges against the backdrop of Mahindra’s RISE pillars – Accepting No Limits, Alternative Thinking and Driving Positive Change. The initiative, with its inclusive nature, has set for itself high standards! We would like to express our deepest gratitude to the Ministry of Road Transport & Highways that has continued to support the program for the fifth consecutive year. Besides higher numbers, the entries also exhibited better quality, more interesting stories and a stronger pitch, giving us a feeling that the MTEA has come of age. Panel Discussion on a pertinent topic Commercial Vehicle End-of-Life Policy in India, moderated by Vivek Law, a prominent name in the Business News Channel industry. The discussion focused on the likely contours of the policy as well as the impact of such a policy on all stakeholders like CV OEMs, government agencies, Fleet Owners, Single Truck Owners, etc. Mr. Vinod Sahay, CEO, Mahindra Truck and Bus and Construction Equipment Division presented the report card of the awards program, reaffirming our commitment to continue, strengthen and make more relevant, this RISE initiative. He shared with the audience, the fact that the awards program was becoming bigger and better with every passing year and was attracting better quality entries, which is a heartening news. Mr. Veejay Nakra, Chief of Sales & Marketing, Auto Division talked about the inclusion of SCV & LCV Category. He stressed upon important role-play by the segment in emerging Indian economy through last mile distribution. On the theme of Road Safety, this year we introduced a new short story contest called "Come Home Papa" in collaboration with our literary partners, #TellMeYourStory. Mahindra Saarthi Abhiyaan Scholarship winner girls were asked to write stories on Road Safety, based on father’s experiences on the road. All the stories were published online, at www.tellmeyourstory.in and the best thirty stories have been chosen for publishing in the book. Four Saarthi Abhiyaan Outperformers were felicitated with their family members and Bulbul Khan and Rukhsar Khan were declared as the joint national winner for "Come Home Papa" – Story contest. Mr. Rajan Wadhera, President – Automotive Sector and Member – Group Executive Board, Mahindra & Mahindra Ltd. reinforced that MTEA will continue to applaud the endeavours of the unsung heroes of our industry in the years to come. Speaking on the occasion, Y.S. 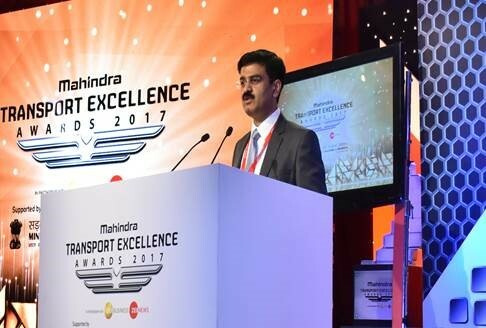 Malik, Secretary, MoRTH, extended praise for the Mahindra Group for coming up with such a recognition for one of the most important sectors of the Indian economy. And expressed the need for the industry to honour those who are thriving to make a change in their day to day work and said that this effort is in that direction! Let’s sign off by saying that MTBD’s signature brand property, now 7 editions old, aimed at honouring the unsung heroes of the road transport, Mahindra Transport Excellence Awards will continue to strengthen the brand while delivering respect, self-esteem and recognition to multiple stakeholders of the Indian Road Transport Ecosystem. Let’s unite to RISE together! *For the complete list of awards please see our extensive report here.